We are already half way through January and Christmas and New Year seem a million miles away. Over the Holiday period the new Online Immigration application system has been rolled out and not without its problems. I am sure these will rumble on. We seem to be edging towards a No Deal Brexit and I will discuss below the implications of this on EEA nationals. The white paper was published before Christmas and highlights how employers will cope with skilled workers arriving from the EU. The white paper proposes the end of the cap on the number of skilled migrant workers that can be sponsored by a UK business. This is reassuring news for employers. Similarly the skills threshold for roles eligible for sponsorship will be lowered to RQF Levels 3-5. Positions such as office managers, health and safety offices, yacht skippers etc will be included however only where an employer is willing to pay the basic £30,000 per year. The Resident Labour Market test is to be scrapped. This is good news for employers who under the current system have to advertise the position for at least four weeks and demonstrate a settled person cannot fill the job. The idea to reduce the burden on businesses and to speed up hiring is behind the recommendations made in the white paper. The sponsorship duties will also be reduced where the information is held elsewhere or can be accessed elsewhere. At the moment employers have to ensure their employees comply with the rules to avoid losing their sponsorship licence and this is time consuming work. The idea is to simplify the process and I, for one, hope the government does simplify the process, as at present it is arduous and time consuming. In preparation of Brexit the government will be passing a law to remove the right of free movement for EU citizens. The Immigration and Social Security Co – ordination (EU Withdrawal) Bill will have its second reading in the House of Commons on Wednesday 16th January and will revoke these and other EU derived domestic legislation that provides for free movement. This will then allow the government to bring in new rules on migration from the EU. The government white paper says that these new rules will start in 2021 and under the draft Brexit withdrawal agreement free movement will continue between the 29th March 2019 and the 31st December 2020. It has been difficult to avoid the drama surrounding the Brexit deal and there may not be a withdrawal agreement. In a no deal situation there will be no transitional period and for EU nationals already living in the UK by the 29th March 2019 this is not likely to be a problem but for those who arrive after the 29th March 2019 the impact will be significant. Similarly it is unlikely 3.4millon EU nationals can or will apply for status by the 29th March 2019. And what of arrivals post 29th March 2019. 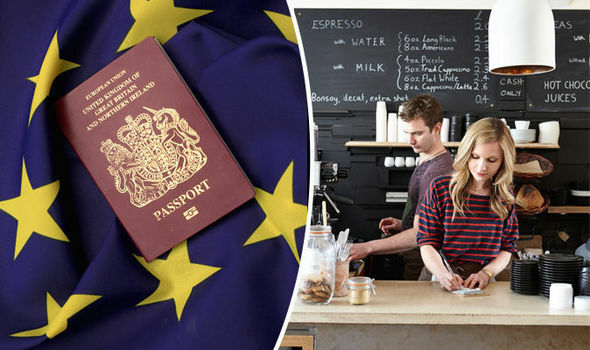 It appears that both current EU nationals and those arriving post Brexit will be protected by the EEA Regulation 2016, however their rights will derived solely from domestic law. A no deal Brexit leaves the long-term status of EU nationals unresolved. The government has said that the EU Settlement Scheme will only be open to those living in the UK before the 29th March 2019 in a no deal scenario. This indicates those arriving after this date are likely to have no way of guaranteeing their legal right to stay once the EEA Regulations are abolished. EU rights protected are unilateral and although the UK may protect the rights of EU nationals resident in the UK, the same cannot be said for the 27 member states. British nationals may find themselves on day one to no longer being afforded free movement and treated as third country nationals.